The UK and Ireland form the major part of the British Isles, a group of more than six thousand islands on the edge of continental Europe which offer limitless opportunities for tours and vacations to suit everyone. The team at Janet Redler Travel & Tourism have unrivalled experience in arranging tours to the UK and Ireland for travel agents, individuals and organisations of many types. If you are a travel trade professional looking to put on a customised tour to England, Scotland, Wales or Ireland for your clients, we would love to help you plan their vacation. Whether your clients' passion is for art, castles, gardens or just soaking up the culture, we are here to ensure they get the most out of their trip. We offer the same professional standards to arranging tours for independent travellers. Whether you choose to visit in summer or prefer to sample the delights of a winter vacation, we can assist. Please take a look through our destinations below and click on the links to get a flavour of each country. For practical information on visiting the UK and Ireland, click here. England is a diverse country. 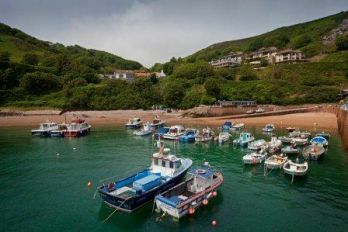 From the buzz of its capital, London, with the royal grandeur and pageantry of Buckingham Palace, to the rolling hills and chocolate box cottages of The Cotswolds, to the charm of Cornwall and Devon’s fishing villages. London is the lively capital of the United Kingdom and a must see destination for visitors from all over the globe. As one the world's most exciting cities, London has something for everyone and there is so much to do, you will be hard pressed to pack everything in! Scotland offers a fantastic mix of stunning mountainous landscapes topped off with a colourful history of epic battles. No wonder it has more castles per acre than the rest of the UK, from magnificent city landmarks to mysterious ruins. A small country with a big personality, Wales has a distinct culture and an action-packed 2000 years of history. The number of castles are testament to this - no less than 641. From defensive beginnings to Tudor banqueting and Victorian decadence, the splendour of these fortresses will touch the soul. Dozens of them are beautifully preserved and in spectacular surroundings. Northern Ireland is one of one of the fastest growing tourist destinations in the United Kingdom, as more and more people discover the charms of this beautiful place with its rolling countryside, rugged coastline, bustling capital city and friendly people. A warm welcome awaits in Ireland, a country steeped in myths and legends. Enjoy a ‘proper’ Guinness in one of its welcoming pubs and chat with the locals. Take in the rugged coastal landscape or the tranquil lakelands of Killarney.